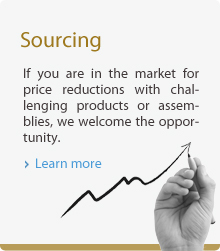 Our Mission is to deliver world class quality products at the most affordable, competitive, market price. We offer a low cost operational solution by teaming up with the best of the best world class supplier organizations. Our core commitment to success will be derived by continually embracing and implementing new innovative ideas for our customers. Our professional approach for our customers is to execute getting the job done right the first time. 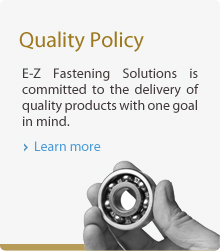 E-Z Fastening Solutions, Inc. is a small, minority and veteran owned stocking distributor of: electro-mechanical C-type hardware, springs, precision screw machine parts, sealing components, and exotic specialized alloy fasteners.